Bepoz Retail Solutions is excited to announce the opening of our new Perth office in Osborne Park. The opening of this new office in Western Australia is a step forward in providing local service to our current customers and further our effort to support the hospitality industry in WA. Our new office in Perth will enable us to respond efficiently to our current customers’ need for on-ground support of Bepoz Point of Sale technology. Additionally we now have the capability to bring our 40 years of experience and learnings in the WA hospitality industry. Bepoz has a strong presence across the eastern seaboard built over many years working with large multi venues and smaller independently operated venues. 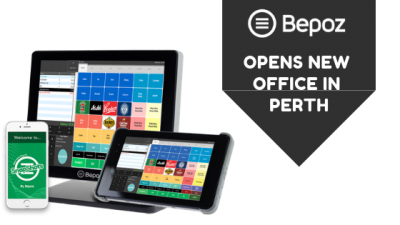 The evolution of Bepoz Point of Sale has been embraced by customers Australia wide. Including Bepoz’s customer base in WA, The George, Jamie’s Italian, TGI Fridays, Sporting Globe, The Pier Hotel Esperance and the newly signed Como – The Treasury. Our local Bepoz State Manager, Prashant Giri is thrilled to be heading up the WA office and introducing Bepoz Point of Sale to the local market. Prashant has expansive Bepoz POS knowledge working across all areas of the business including support, implementation and business development. The vibrant offices in Osborne Park will allow for onsite demonstrations and networking opportunities.